We're here to help you choose the right distance education university in India. Subscribe to our blog by submiting you Email ID in the box. The economy is mercifully on the upswing and that means more and more people are ditching placeholder jobs in order to move on to something more well-suited. Whether you’re leaving your current job for more pay, better Quit Your Jobhours, or simply because you can’t stand the sight of your boss there’s a right and a wrong way to do it. DO: Tell your new job you need to leave with adequate notice. DON’T: Let yourself get bullied into thinking you have to leave your current job in a matter of days. The right way to quit starts with the acceptance of a new offer. It’s really tempting to jump on a desirable job offer even if that means you have to “start in 3 days” but…don’t. Your new company should and likely will respect you for wanting to leave in a professionally, timely manner and you’ll give yourself some time to give your notice the right way. DO: Give your notice to the right people at the right time. DON’T: Tell the people in the cubes next to you that you’re leaving before you tell your boss. The very first person at your office to know you’re leaving should be your direct supervisor. After you’ve told them, ask how they’d like to proceed – should you contact their higher up to let them know and how do they want to tell the rest of the team? Time wise, give your employer at least two weeks notice regardless of the position. If possible, particularly in more difficult-to-fill positions, aim to give four to six weeks notice. DO: Plan what you’re going to say before you out in your notice. DON’T: Lie about what went wrong to avoid awkward conversations. When you put in your notice and your boss isn’t expecting it they’ll likely inundate you with questions like, “Are you not happy here?” and “What if we paid you more?” If you’re determined to leave no matter what be sure you’re ready for these questions and answer in a professional, grateful manner. And don’t fib about why you’re leaving! There’s a difference in sugar-coating a bad situation and ignoring it altogether. Don’t badmouth the job, the company, or the team but be honest about the ways in which it doesn’t work for you just like you would if breaking up with a love interest. DO: Pick an exact leave date and remind your boss a week out. 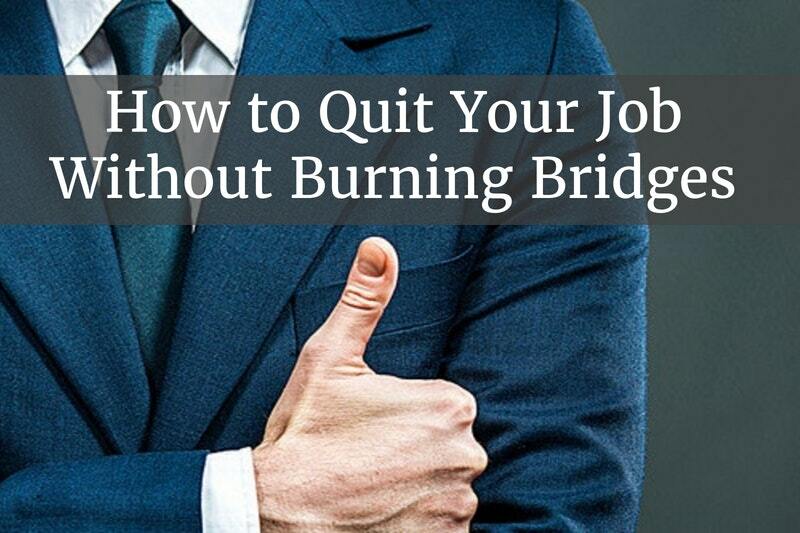 DON’T: Just pretend like you’re leaving and ignore the fact that you quitting will be disruptive. Once you put in your notice your job becomes twofold. You need to first keep up all the work you’ve always been expected to do but then you also need to work to make the transition easy. Write down any passwords, processes, and location maps you think a new hire would want to know and ensure you’re not the only person who knows any one thing. About a week before you leave, check with your boss to make sure there’s nothing in particular he wants you to be doing to help him prepare. DO: Write thank you letters/email to anyone you’d like to say thank you to. DON’T: Feel like you have to email the whole company or take everyone to lunch. If your office isn’t the touchy-feely type you don’t have to make a big announcement (and really, that’ll be up to your boss.) But, take some time to write emails to your supervisors and colleagues who’ve meant a lot to you and tell them so! It will be appreciated and set the stage for staying on good terms. DON’T: Expect people to go out of their way to contact you. Unfortunately, when you leave the office you’ll likely feel distance from lots of people you’re used to seeing daily. You’ll have to work hard to maintain the friendships you’ve created and it’s always a good idea to send a liked supervisor an email or Christmas card every now and again to check in and say hi. While you shouldn’t make things awkward, if you left on good terms originally it won’t hurt to reach out from time to time. As far the MBA degree is concern; it is one of the most recognized and widely accepted degree course in the field of business and management. After stepping into the globalization period; there was a great demand of professionals who are having quality management skills and an MBA degree to provide the correct supply to the different fields. Though that was the toughest time for the entrepreneurs and people who were not professionally qualified or professionals who possess graduate degree and wanted to have an MBA degree to upgrade their qualification and boost company’s efficiency. It was the time where industries felt requirement of quality MBA professionals into their companies to provide discipline in the management of company. 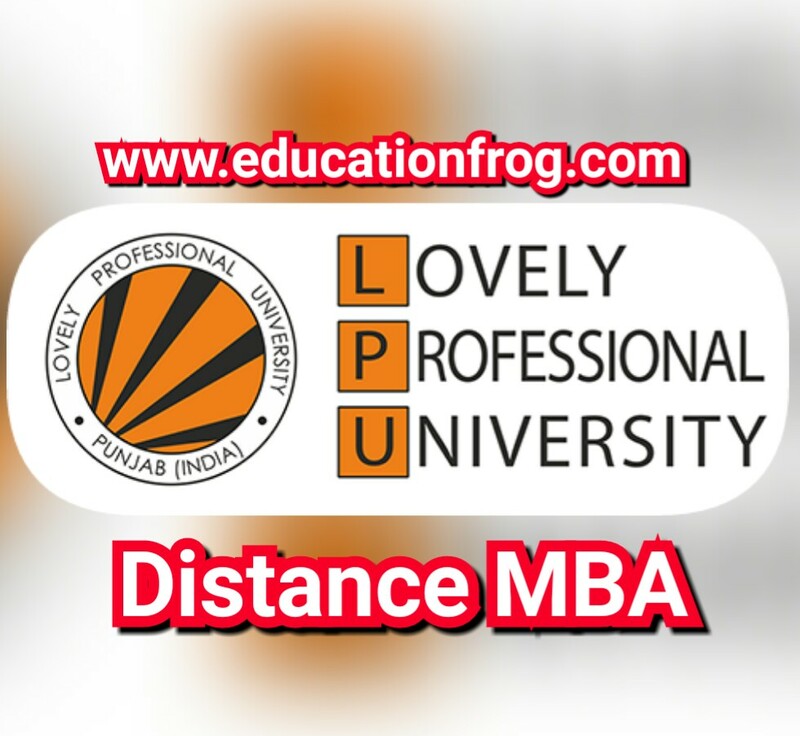 At Lovely Professional University Distance Education [LPU-DE], all programmes are specially designed to cater the needs of today’s generation. But when it comes to LPUDE-MBA, it is more important because Lovely professional university offers a unique MBA programme which covers all the aspects of business and management. LPU distance learning MBA is useful for students and working professionals both because its study material is well designed to develop quality management skills in the young generation to become a successful future business leaders and managers. The MBA programme at LPUDE provides adequate, useful knowledge, sound skills that are useful in effective management & coping up with ever changing, vastly competitive business environment. One of the best thing about LPU distance education MBA is that it has an online education portal called LPU e-connect for holding virtual distance learning classes which also connects students to all the study centers, universities, and study material resources across the country. Medium of Examination/Instruction in all MBA subjects will be in English Language. A graduate degree or equivalent in any field is required to take an admission into LPU distance learning MBA programme. Lovely professional university offers all the distance learning programmes including MBA from its 150+ study centers across the country that brings healthy learning studying environment among the students. • Applicant can download prospectus from LPU official website or can be purchased from Division of Admissions at the university campus or Information & Admission Offices or different places as mentioned by the university across the country by paying required amount of Rupees 200/- through Cash/ Demand Draft /Pay Order (PO). If applicant has downloaded prospectus from university website, then he/she have to pay the programme fee along with application fee of Rs.200/- here, candidates must be noticed that DD/PO for any course will made in favor of 'LOVELY FACULTY OF DISTANCE EDUCATION, payable at JALANDHAR and at the backside of DD/PO must have clearly mentioned the Applicant's Name, Father's Name, Mobile No, Application No. • Applicants are advised to fill up the Application Form that is available in the Prospectus or as downloaded. • All columns are mandatory to be filled in by the candidates in the application form except fields which are not application marked them N.A (Not allowed). 1. Photocopy/Xerox of Matriculation (10th) or equivalent certificate bearing proof to D.O.B. 2. Photocopy/Xerox of Marks Card (in detailed) of the qualifying exam and other exams as prescribed by the university. 4. Two (2) additional recently passport size coloured photographs. 5. And last, most important is (DD) Demand Draft / (PO) Pay Order. 1. All the eligible candidates should send their application form and fee, as per schedule of admission given on the Prospectus or announced by the LPU. In person at the Division of Admissions at the University Campus, Phagwara Punjab. At Information & Admission Offices (as mentioned on university website) of the university. 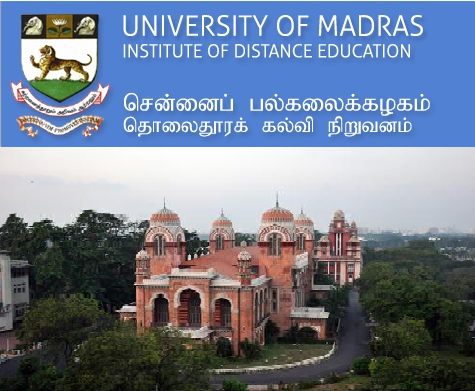 Madras University has established its Institute of Distance Education (IDE) in 1981 and as far as its distance education programmes are concern; Madras University distance education offers various distance Education programmes specially designed to cater the need of house wives, working professionals and those who can’t go to the regular classrooms. Distance education is need young generation because in India people want to earn money while studying, so these distance learning courses help them to pursue their dreams. After successfully completed 32 years, The Institute of Distance Education of University of Madras has more than 3.0 lacs students on the board. The primary objective of Institute of Distance Education (IDE) of Madras University is to provide quality education environment that boost, encourage students to achieve their educational, personal and educational goals. Presently University of Madras (IDE) is offering 102 Degree Programs which catering the need of Post Graduate, Under Graduate, Diploma & Certification Programs students. All the programmes such as Undergraduate (27), Postgraduate (20), Professional Programmes (17), Diploma (25), and Certificate Programmes (13) and professional job oriented programmes are affiliated from different authorities like UGC, NAAC, and AIU. The “Five Star Status” has been conferred by National Assessment and Accreditation Council and "University with Potential for Excellence" status given by the University Grants Commission (UGC), New Delhi which is very much appreciated by all the institutional bodies of India. Madras University has its special Personal Contact Programmes (both theory & practical) which are running and monitoring by experienced faculty to help students on every step of learning. Many students who passed out from university; are working with national and multinational companies, which is sign of satisfaction for the faculty members of Madras University. Note: we have tried our best to provide you correct Information about the courses but information provided here should not be treated as comprehensive. Students are advised to check the university website frequently for the latest information & updates about the courses. After successfully completed its silver jubilee in 2006-2007, Today Bharathidasan University has 16 Schools including Center for Distance Education, 34 Departments. Bharathidasan University has 195 well qualified faculty members on the board to guide and teach 2372 students. Bharathidasan University has been re-accredited with “A” Grade by NAAC society. Bharathidasan University is affiliated under UGC (University Grants Commission) and DEB (Distance Education Board), New Delhi. BDU is a member of AIU (Association of Indian Universities). BDU is a member of ACU (Association of Commonwealth Universities). As far as Distance Education Courses are concern Bharathidasan University offers all distance education programmes under its Center for Distance Education, situated in the city Tiruchirappalli – Tamilnadu. Bharathidasan University - Centre for Distance Education (CDE) has been established in the year 1992. The main reason behind starting distance education courses at CDE - Bharathidasan University wanted to cater the need of those students who could attend the regular classes for higher studies due to either lack of time or money. In this way, Centre for Distance Education has observed a healthy demand & started Bharathidasan University distance education courses for Postgraduate, Undergraduate, Diploma, Postgraduate diploma and Certificate Course students. All the Undergraduate programmes of Bharathidasan University are based on non-semester system but Postgraduate programmes, PG Diploma, Diploma and Certificate programmes are based on semester system pattern. However, All management programmes like: Distance Education MBA, Distance Education MCA programmes are very popular among the management aspirants. As of now, Bharathidasan University Distance Education Programmes consist of 20 Undergraduate, 21 Post graduate Programmes and 12 other diploma & certificate programmes as well as 7 professional programmers adding a complete package for the distance education students. Bharathidasan University covers 4 major Southern States of India - Tamil Nadu, Andhra Pradesh, Kerala and Karnataka. Although, in recent times CDE-BDU has started many study centers in India as well as in abroad. To provide quality distance education courses, Bharathidasan University offers Personal Contact Programme (PCP) with its approved PCP Centers, located around 19 Towns and Cities across India. More than 20,000 students have been enrolled under CDE-BDU till now and these numbers are increasing day by day. Examination has been conducted by the University for UG, PG, Diploma and Other programmes on semester and non-semester wise pattern for the convenient of the students. 7 Professional courses including distance education MBA, MCA, PG Diploma and other Certificates programmes. II. The Coordinator of concerned study center. By Post (or) he/she also can send the application by the online mode along with the required documents/enclosures. Entrance Test: Candidates have to appear in the entrance test at the time of Admission assigned by the study centers. Selection will be completely based on merit, marks obtained in the qualifying exam, and entrance test performance and work experience if any. Admission into any distance education programme will be made by the Director, Center for Distance Education, Campus, Tiruchirappalli - 620 024. At any Approved Study Center of CDE - Bharathidasan University. Candidate has to shown original certificates and experience certificate if any, at the time of the admission along with stamp size photograph, attested Xerox/Photostat copies of documents and a Demand Draft (D.D) of course fee. Original certificate will be returned after verification. Center for Distance Education also conducts admission procedure through all approved PCP Centers on weekends Saturdays and Sundays. Applicant who has downloaded the application form from the Bharathidasan University official website should send amount of the fee, cost of application form, and Registration Fee, in form of a Demand Draft (D.D) drawn in favour of "Bharathidasan University, Tiruchirappalli", payable at S.B.I, BDU Branch, Tiruchirappalli 620024. Prof. M. Aslam is the vice – chancellor and Prof. S V S Chaudhary is Registrar of IGNOU University. The IGNOU University is affiliated by different authorities like: UGC, AICTE, DEC, COL, AIU. IGNOU University takes admission every year for all programmes such as Under-Graduate, Post-Graduate, Diplomas, & Certification Courses offered by the University. Students can take admission in PGDIM, PGDHRM, PGDFM, PGDOM & PGDMM by appearing in entrance test (OPEN MAT) held twice a year at various study centers all over the India. Note: We have tried to provide you right Information about the IGNOU programme/courses but the information we have provided here should not be treated as comprehensive. University would be offering other course/courses that we have mentioned here. Students are advised to get in touch with the official website of IGNOU as well. Shobhit University has been established by NICE society in November, 2006. Shobhit University is a deemed university, situated in the city of Uttar Pradesh, Merrut, which is good sign because it is region which comes under National Capital Region (NCR) Delhi. The motto of the Shobhit University is “Empowering nation through Education” which gives encouragement to all, in providing and getting quality education. Shobhit University offers different Regular courses as well as Distance Education courses. When it comes to distance education Shobhit University is promoting several distance education courses through its School Of Distance Education. we will let you guide further in our posts about many distance education courses (like Distance education MBA, BBA, MCA, BCA etc.) offered by Shobhit Universtiy, School of Distance Education. But today we will provide information about the one of the popular distance learning course of Shobhit University, Distance Education MBA for the session 2019. In this post we will cover Shobhit University’s Distance learning MBA Admission Procedure, Eligibility Criteria, Fee structure, Distance MBA specialization areas, course duration, medium of instruction and most important Contact Details. Attested Xerox copy of High School Mark Sheet and certificate. Attested Xerox copy of Class 12/Intermediate Mark Sheet and certificate. Attested Xerox copy of Graduation Mark Sheets and certificate. Note: students should bring original documents at the time of admission for the purpose of verification and these documents will be returned back afterwards. M.B.A in Tourism, Travel and Hospitality Mgt. M.B.A in Fashion Design, Technology and Mgt. M.B.A in Production and Operations Mgt. To get admission into Shobhit University MBA programme (2 years), a candidate should have a graduation degree (in any discipline) from any government recognize University. As far as Shobhit University Distance education MBA fee structure is concern, a candidate has to pay fee which includes Registration Fees, Course Fees (semester wise) and Examination Fee etc. As per the session 2014-2015, a candidate has to pay to a total amount of Rs 38,500/- for the programme. This includes registration fees, course fees & examination fee. For latest updates on Fee Structure of distance learning MBA programme please visit the official website of Shobhit University – SDE. Medium of instruction is English Language for Shobhit University distance education MBA Programme. Shobhit University held semester-wise Exams every year in the month of June and December at selected examination centers all over the country. For Distance education MBA programme of Shobhit University course duration is as follows: Minimum duration: 2 years. Maximum duration: 4 years. A candidate could apply for job in different areas after completing Distance MBA from Shobhit University for example: – In the sector of Marketing Management, , Human Resource Management, Environment Management, Banking Management & Services, Sales management, Real Estate Development, Distribution management, Information & Technology, Financial Management, Retail Management, and many other sectors like: Insurance etc. IGNOU M.COM Distance Education Mode: IGNOU offers M.COM or Master of Commerce programme as a Distance education mode under its School of Management Studies (one of most famous business school in Open Learning System in the world). 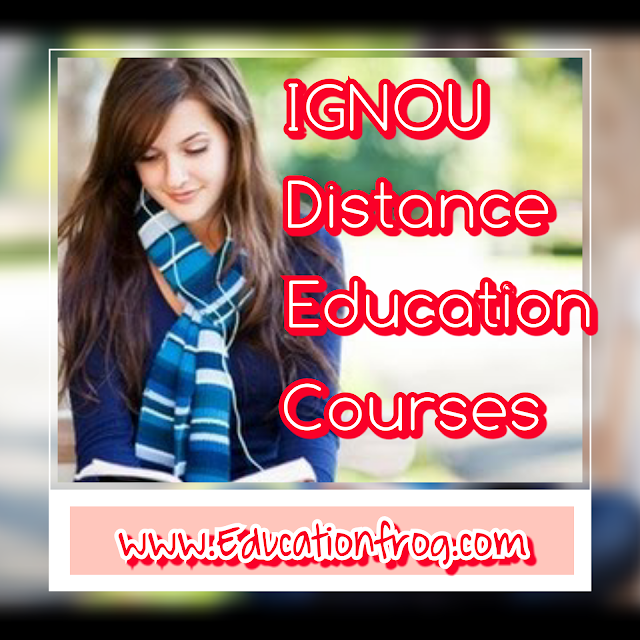 IGNOU M.COM distance education programme is very popular and demanding among the aspirants who want to pursue their higher education in the field of business and commerce. IGNOU School of Management Studies offers more than a dozen (14) programmes in the category of commerce. On the other hand, less than a dozen (11) programmes in the category of management. As far as IGNOU M.COM programme is concern, IGNOU offers Distance education M.Com [Master of Commerce] specialisation in Internationa operations. Through Distance Education M.COM IGNOU believes to provide young students practical and sound knowledge about accounting concepts and skills in entrepreneurship so that a students should handle business Operations easily, particularly in International Business. The M.COM syllabus also prepared with such content matter that is focused on the applied aspects of Business Operations and International Business Operations. • IGNOU M.COM programme aims at developing an understanding of business operations especially in the field of international business. • IGNOU M.COM course is designed and prepared by Best academician from the field of Commerce industry. • Strong students support system and live teleconferencing with experts from Commerce field. Minimum Duration is 2 years and Maximum period is 5 years for M.Com programme. To match the Eligibility Criteria of IGNOU's MCOM distance education programme, a candidate must have a Bachelor Degree or equivalent degree in any discipline from a recognized University. The medium of instructions will be both in Hindi & English and there is no Age bar for the candidates to apply for this programme. A candidate has to pay sum of 11000/- for Distance IGNOU M.COM Course for two years programme. Below is a Table displaying the IGNOU M.COM Syllabus in the form of first year subjects and second year subjects with their codes and no. of credits for a particular subject. In Person: you can obtain Prospectus from IGNOU Regional Centre in person by paying amount of Rs.200/-. 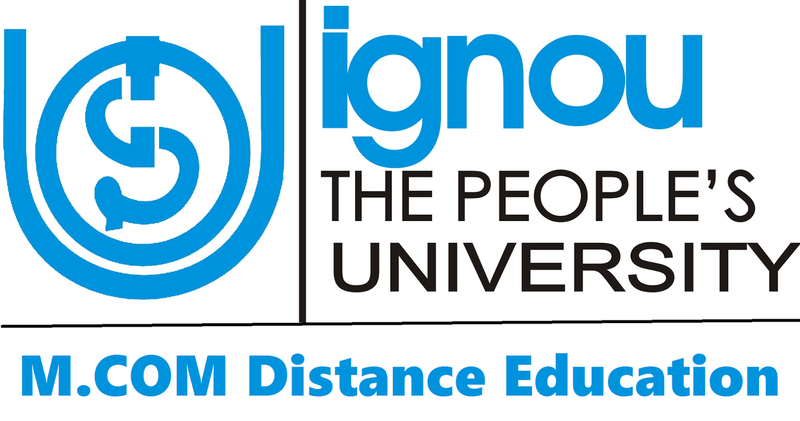 By Post: You can get the prospectus for Distance M.Com Course by sending a Demand Draft Rs.250/- in favour of IGNOU, Registrar (Student Registration Division),Indira Gandhi National Open University, Maidan Garhi, New Delhi-68. Download the prospectus from IGNOU website: Candidate may download prospectus from IGNOU University's official website or Candidate may visit nearest Regional Center of IGNOU for more details on IGNOU Distance education M.COM Course.